Android has always been tight on user security ever since the early days, with the pattern, PIN, and password feature to lock down your device. However, it wouldn’t be overly surprising if you ever end up forgetting your lock screen passcode and end up with a locked Android device. The good part is that there are several fail-safe measures built into the Android security system to ensure that you can bypass the lock screen on Android. Since a single method is not guaranteed to work on all devices, here are 3 different ways to get into a locked Android device and bypass the lock screen. If you own a device running Android 4.4 or lower, you can use the “Forgot Pattern” feature and bypass the lock screen. 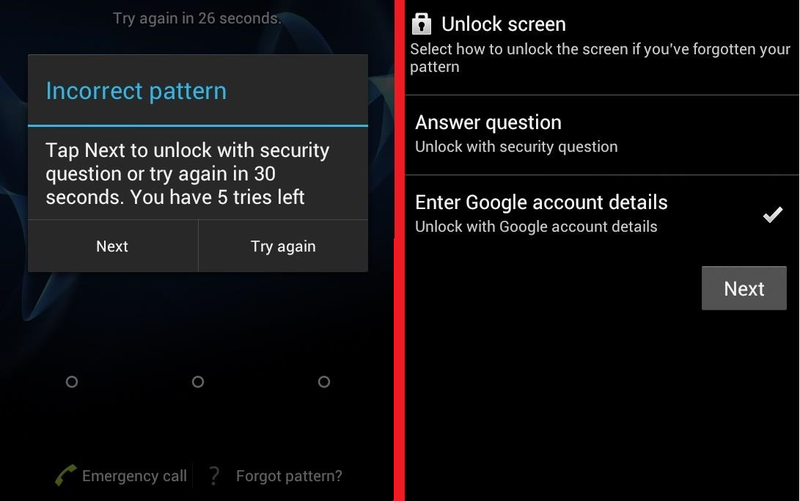 After you’ve unsuccessfully attempted to unlock your Android device 5 times, you’ll be prompted with a “Try again in 30 seconds” notification. Tap the “Forget Pattern” button at the bottom of the screen and you will be given a chance to regain access to your device. From the next screen, you will be asked to “Enter Google account details” in order for Android to verify that you are the rightful owner of the device. Use the primary Google account credentials you have set up with the Android device for verification. Once your account details are confirmed, you will be asked to set up a new passcode right then and there, which you can then use to access your device. 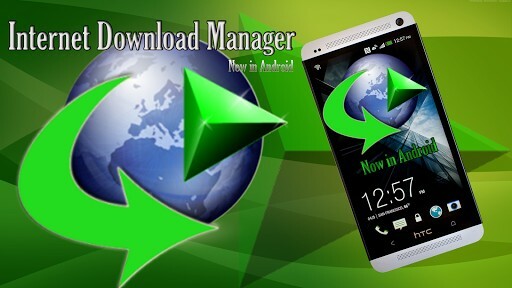 Since most users have Android devices running the newer version of the operating system, going with Android Device Manager is your best way of getting into a locked Android device. Apart from being a useful solution to tracking your lost Android device, this service also allows you to remotely replace the password, PIN, or pattern on your device. Use a computer browser to access the Android Device Manager web page, which will first ask you to verify your identity with your Google account credentials. Make sure you sign in with the same Google account that you have setup on your Android device, and your device details will show up, along with its location. 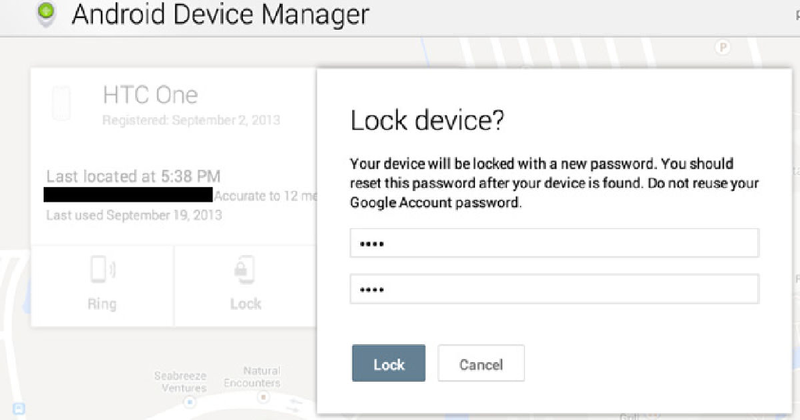 Once your device is detected by the Android Device Manager, go ahead and click on the “Lock” button that shows up under the device details. Clicking on this option will highlight a new window, asking you to enter a new password and confirm it. Once you do so, your old lock screen password will be replaced by the new one and you can simply enter to regain access to your Android device. 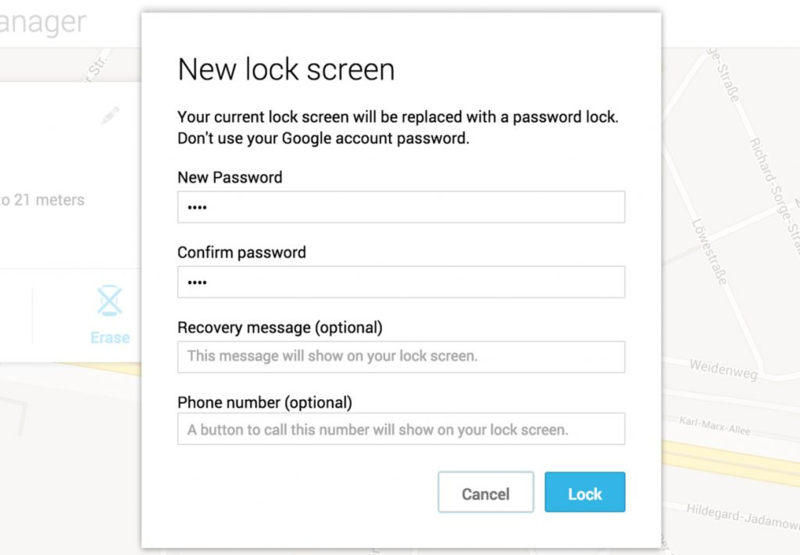 If there’s no way for you to bypass the lock screen on the Android device or if you’ve forgotten the credentials to the Google account as well, performing a factory reset is the last resort. Before you proceed to do so, remember that a factory reset will erase all of the personal files, apps, and data stored on the Android device. 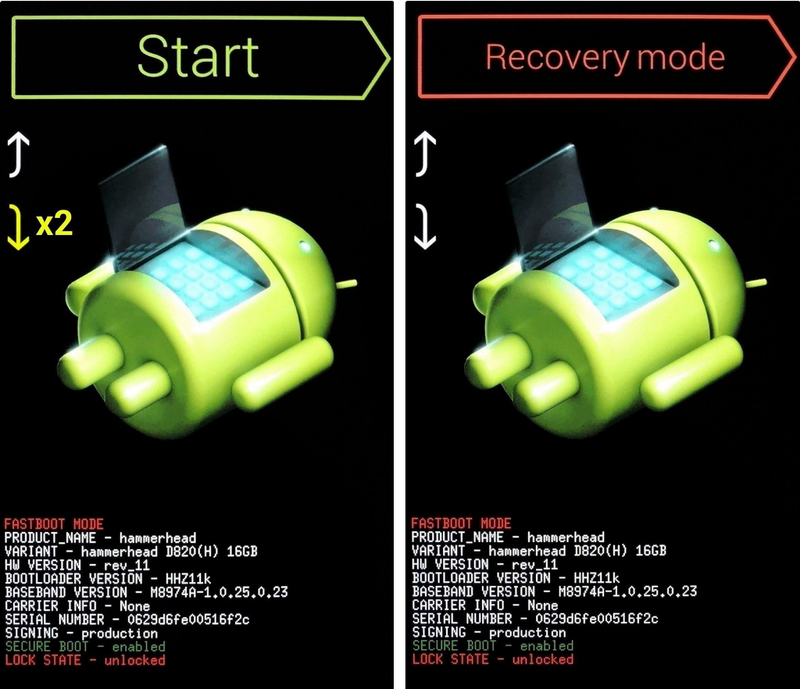 You will need to access the “Recovery Mode” on your Android device to perform a factory reset. While the combination of buttons differs depending on the device model and manufacturer, pressing and holding down the Volume Down and Power button is usually the combination required to access the Android bootloader menu. 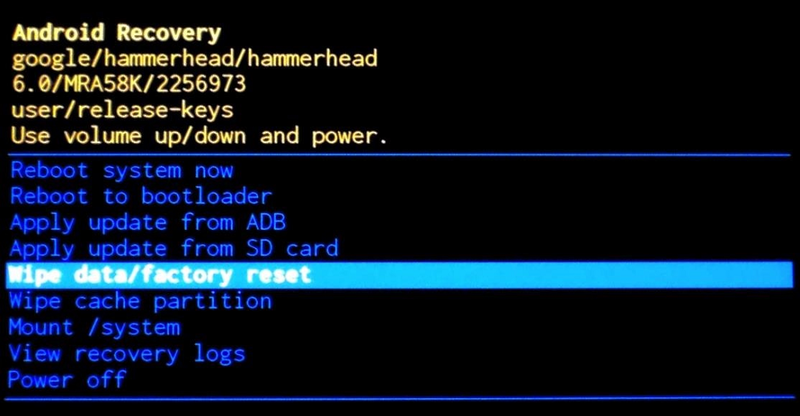 Once you are in the bootloader menu, press the Volume Down button twice to select the recovery mode, and press the Power button once to confirm it. Now hold down the Power button and press the Volume Up button once to finally access the recovery mode. In the recovery mode, use the Volume buttons to scroll down to the “Wipe data/factory reset” option and press the Power button once to select it. The entire process should take a couple of minutes and you will be redirected to the recovery mode menu screen. Now go ahead and press the Power button once to select “Reboot system now” and you will be able to access your newly formatted Android device without seeing the lock screen anymore. The 3rd step doesn’t work with all the manufacturers.We need custom recovery for them.